Math with Ms. Rountos - K.J. Rountos, Ph.D.
Congratulations on completing the New York State Math Test this past week (Apr 25 - 27). Now that we have the State Test behind us, we will move forward into preparing for the 7th grade mathematics curriculum. Our first project will be an interdisciplinary project, called the "Virtual Vacation Project". We will discuss the project in class on Monday April 30th. Enjoy your weekend ... and congratulations, again!!! Welcome back from the weekend, 6th Grade Mathematicians/Travelers!!! Below are the due dates for our Virtual Vacation Project. Please adhere to all of the instructions on the front page of your Paris & Rio travel packets. Remember, please write in your packets using PENCIL ONLY!!! The packet is due on Monday, May 7th. The Reflection Worksheet is due on Wednesday, May 9th. The rough draft of the brochure is due on Wednesday, May 9th. The final draft of the brochure is due on Friday, May 11th. If all goes well, we will have a French/Brazilian Festival on Friday, May 11th. Please bring cultural food & music!!! 3. WHO are your travel companions? 4. WHAT places will you visit? 5. WHAT math skills will you use to complete this project? Below is what your fellow 6th grade travelers had to say!! I think the packet is a lot of fun. I think that a lot of people are going to learn how to plan a vacation based on the packet. I think that maybe this packet can makes things better. I am going to Rio De Janiero. My budget is 10,000 dollars. I am traveling with Lashay and Ashley A. The five places I will go to is Copacabana Beach, Cristo Redentor, Parque National de Tijuca, Maracana Soccer Stadium and Pao de Acucar. I will use my math skills and work with proportions, unit rates, distances, percentages, etc. I think this project is very creative. I’m going to paris, france and I have to stay on a budget. I feel like my mom. My budget is 7,500. I am traveling with my cousin. For the virtual vacation project I am going to Magnificient Paris, France. I picked out of the jar and my budget is standard 7,500. I think I am going with Nazia so we could make the crepes together. I will visit the Eiffel tower, the sandboat, the muesum, The Arc of Triumph and the theater garden. Well the Math skills I need is tallying up my money and figuring out if I’m on my budget which includes proportions. That’s my virtual vacation. I am going to Paris, France. My budget is 10,000 dollars. I am on a Luxury Vacation. I am traveling with 3 friends. I’m going with Nazia, Shoniqua and Shelby. The attractions I’m going to are the Arc of Triumph and the Eiffel Tower. Also I’m going to Le tour Eiffel. The other two I’m going to are Notre Dame and Le Centre Pompidou. I would need to use unit rates and conversions to travel to these places. In my virtual vacation I am going to Paris, France. I got $7,500 so thats standard rate. I’m bringing my best friend, so I’m only paying for me & her. 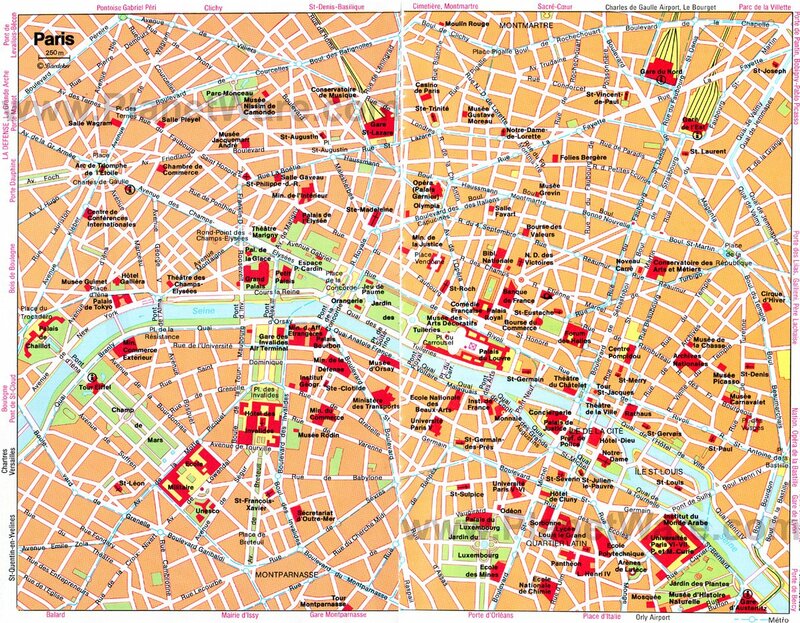 I’m going to see l’Arc de Triomphe, Le Tour Eiffle, Notre Dame, Le Centre pompidou and Le Moulin Rouge. I will be using many math skills which are proportions unit rates conversions central tendencies, points, coordinate planes, the Pythagorean Theorem, distance and percentages. I am going to Vamos à Rio!!! My budget is 10,000. Jovannah and Brianna will be traveling with me during my trip. I will be visiting Copacabana beach, Sugar loaf mountain, Christ the redeemer Statue, and Soccer stadium. I will use measuring and multiplication. I am going to Rio, and my budget is 5,000. I am traveling with Ashley and Justyn. I am visiting Copacabana, Pao de Acucar, Cristo Redentor, Maracana, Parque National de Tijuca. I will be doing proportions, unit rates, conversions, central tendencies, points & coordinate planes, the pythagorean theorem, distances, and percentages. I am going to Paris, France. I am on a $5,000 budget. I am traveling with my mom. I am going to the Eiffel Tower. I am going to Arc of Triumph and Notre Dame. I’m also going to Pompidou Museum and Moulin Rouge. I need all math skills. Some are coordinate plane, unit rates, distances & percentages. I am going to Rio de Janaro, Brazil. My Buget is 15,000. I am traveling with 1. Some attractions are Copacabana Beach, Sugar Loaf mountain and that’s it. I will use proportions, unit rates and I will use conversions. Also I will use central tendencies, points and coordinate plans and more. I am going to Paris. I have a standard vacation. I have a 7,500 budget. I am traveling with 2 friends. I am going to Arc of Triumph, Eiffel Tower, Notre Dame, Pompidou Museum and Moulin Rounge. I will use proportions, unit rates, conversions, points & coordinate planes, distances and percentages. For the virtual vacation project I’m going to Rio de Janeiro. My budget for the trip was about a maximum of $8,000. I am traveling with my mom, my dad, and my older cousin. The five attractions I would go see is the Christ the Redeemer Statue. The Maracana Stadium is another attraction. 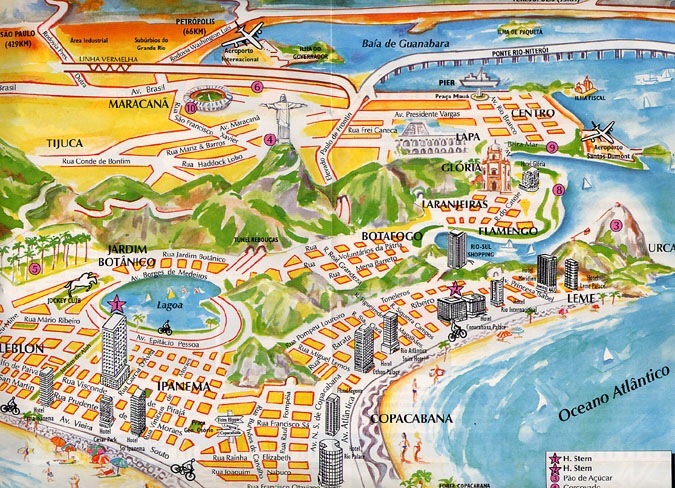 I will also visit the Copacabana Beach and Sugar Loaf Mountain. The last thing that I will see is the Tijuca National Park. The math skills I would use to complete the packet is proportions, unit rates, conversions, central tendencies, points & coordinate planes, the Pythagorean Theorem, distance, and percentages. Im going to rio de Janeiro. I am going with Aminata. 10000 is my budget. My attractions are Copacabana, Maracanã, Parque National de Tijuca, Cristo Redentor, Pão de Açúcar. I am going to Rio. My budget is 7,500. I am traveling with my mom and my brother. I will be visiting: Copacabana Beach, Pao de Augear, Cristo Redentor, Maracana, Parque National. I am traveling to Rio. I am traveling with my older cousins. I am on a economy budget. I will travel to 5 attractions. I will need to use algebraic skills. Carnival, statue of Christ, Pão de Súcar, Maracana, Copacana. The Virtual Package is not very hard. I am going to Paris. No budget. Traveling with Jayden. Nothing. Everything I know. For those of you who have already finished the packet, please hand it in early & begin working on the rough draft of your brochure, or the extra credit assignment of creating a postcard (and earn up to 3 extra credit points added to your final grade on the project). Tonight's Homework: Finish your Virtual Vacation Packet over the weekend!! Tonight's Homework: Continue working on the rough draft of your brochure. Tonight's Homework: Do the REFLECTION Worksheet and work on the final draft of your brochure. Tonight's Homework: Finish the final draft of your brochure (if you haven't already). Tonight's Homework: Bring French or Brazilian food/drinks to our FESTIVAL on Monday!!! We are starting a "7th Grade Math Prep" Algebra Unit tomorrow. The first part of the unit is all about "COMBINING LIKE TERMS". It should take ~10 school days to complete our "CLT" unit. We will have three quizzes (one every Friday). The unit is aligned with the 7th Grade Textbook: Section 11-1, and the 8th Grade Textbook: Sections 7-1, 7-3 & 7-2, respectively. Please purchase a new notebook & bring it to class by Monday. Please title the notebook "7th Grade Math Prep". Thank you, 6th Grade Blue Group!!! 6.EE.2b Identify parts of an expression using mathematical terms (sum, term, product, factor, quotient, coefficient). 6.EE.2c Evaluate expressions at specific values of their variables. Include expressions that arise from formulas used in real-world problems. 6.EE.7 Solve real-world and mathematical problems by writing and solving equations of the form x + p = q and px = q for cases in which p , q and x are all nonnegative rational numbers. 7.EE.4 Use variables to represent quantities in a real-world or mathematical problems, and construct simple equations and inequalities to solve problems by reasoning about the quantities. 8.EE.7 Solve linear equations in one variable. Finish HW 5 over the weekend and bring it to class on Tuesday. Continuation of yesterday's lesson on Solving Equations with Variables on Both Sides. Review of Solving Equations with Variables on Both Sides. HW 6C, trifold word problems & study for tomorrow's quiz on Solving Equations with Variables on Both Sides!!! 8.EE.7b Solve linear equations with rational number coefficients, including equations whose solutions require expanding expressions using the distributive property and collecting like terms. Using the Distributive Property when writing & solving Word Problem equations. Introduction to our "Advanced 6th Grade Math for Scholars" class book project. Work on your Chapter Outline Worksheet. The worksheet is due at the beginning of class on Thursday. Finish your chapter Outline worksheet. The Outline is due at the beginning of class tomorrow. Pages 1-6 of your Rough Draft. Pages 7-9 of your Rough Draft. -Pages 1-3 of your Final Draft. -Finish the Probability Review Worksheet (if you did not finish it during class). -Pages 4-6 of your Final Draft. -Finish the Bar Graphs Packet (if you did not finish it during class). -Catch up on your project (if you are behind). Otherwise, no homework!!! -Pages 7-9 of your Final Draft.